All residents of Rastrick should be receiving in the next few days a voting form to decide which project they would like to win up to £65,000 in Rastrick Big Local’s 2018 Voice Your Choice. The theme chosen by the Community for 2018 is “Children and Young People”. The acceptance of proposals closed at the end of February. RBL have spent some time going through all the great ideas and it’s your turn now! Full details of every project are included in the voting form with information on how to vote with voting open now until Sunday May 13. Alternatively, to find out more information and to vote online go to Vote Your Choice. Rastrick Big Local will be having a stall on Sunday 29 May at the Brighouse Artisan Market where details of the projects will be displayed and the chance to vote if not done so already. This entry was posted in Apr, Brighouse, Events, May, Rastrick and tagged Brighouse Artisan Market, Rastrick Big Local. The highly successful Rastrick Beer Festival is to be held again over two days in September in the community hall at St John’s Church, Rastrick. This year’s event will be held on Friday September 22 from 3pm until 10.30pm and on Saturday September 23 from 1pm until 10.30pm. As with the previous festivals there will be national and local ales and ciders on offer as well as food, which will also be served at certain times. A prosecco bar will also be available. The previous festivals have raised thousands of pounds for both the church and local charities. Organisers of this year’s festival have agreed to support Bloodwise, which is the UK’s specialist blood cancer charity, which helps makes people’s lives better and helps stop people getting cancer in the first place and the Neonatal Unit at Calderdale Hospital. Recently St John’s pantomime committee raised £1,000 for Bloodwise after one of its long standing members received treatment at St James’s Hospital, Leeds, for blood cancer. The organising committee’s chairman, Roger Ellis, says he is hopeful that this year’s event will be just as successful as the previous six beer festivals which he put its success down to a combination of hard work by a dedicated team of volunteers and the wonderful support of the church community. “We have also received wonderful support from the business community and the festival sponsors and we really do appreciate their backing,” said Roger. 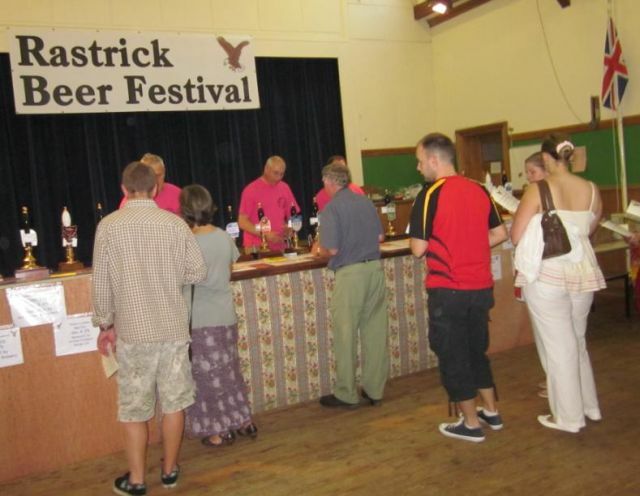 He says the feed back they had received in previous years indicated it was a very friendly event, that people were made very welcome and that it was a very well run festival with a good choice of top quality beers and ciders. “I would urge people to come along, enjoy themselves, sample some first class beers and ciders and support some very worthy charities,” added Roger. This entry was posted in Brighouse, Elland, Events, Hipperholme & Lightcliffe, Rastrick, Sep and tagged Bloodwise, Rastrick Beer Festival, Rastrick Big Local, St. John's Rastrick. All residents in Rastrick HD6 3 and those in HD6 1 south of the river (Huddersfield Side) should be receiving voting details in the next 10 days to decide on what Issue they would like Rastrick Big Local to tackle next for Voice Your Choice 2017. Make your choice and vote either online at rastrickbiglocal.co.uk or by using the Household voting form that will be delivered to you and returning it to the voting box at one of the 9 voting stations detailed on the form. This entry was posted in Get Involved / Have Your Say, Rastrick, Sep and tagged calderdale, Community Safety, Get Involved, Health and Wellbeing, Leisure, Rastrick, Rastrick Big Local, September, Voice your Choice, Work and Money. Rastrick Big Local is holding a Community Update and Voice Your Choice Celebration Event to which all residents are invited along and a free finger buffet will be provided. 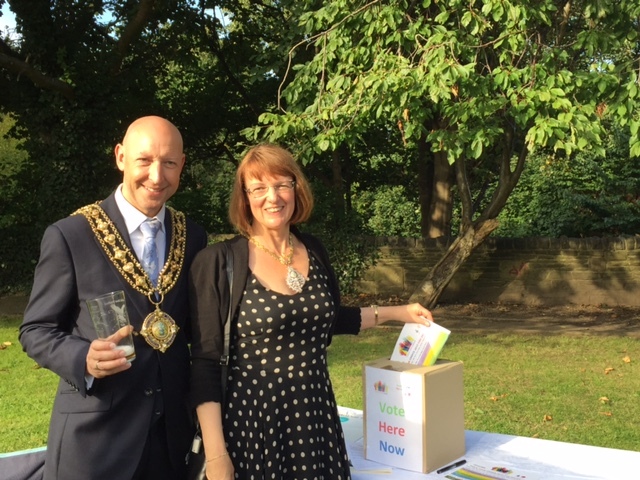 The Mayor of Calderdale, Brighouse Councillor, Howard Blagbrough will attend the event at 7.15 to formally award the contracts to this year’s winners and information about future Rastrick Big Local events, including the Big Funday at Rastrick Bowling Club will be available. This entry was posted in Get Involved / Have Your Say, June, Rastrick and tagged Bradley Wood Camp Site, Event, Fruit for all, Get Involved, June, Rastrick, Rastrick Big Local, Rastrick Cricket Club, Voice your Choice, Woodhouse Play Area. Booking is essential to attend this event, due to limited numbers, please contact the library directly to book on 01484 714858 or email rastrick.library@calderdale.gov.uk. This entry was posted in Brighouse, Get Involved / Have Your Say, Oct, Rastrick and tagged Bricks4Kidz, Calderdale Council, Events, Friends of Rastrick Library, LEGO, October, Rastrick Big Local, Rastrick Library, Young People & Families.